Globitel’s SpeechLog Retail solution offers insight into the three most important aspects of a physical interaction between an employee and a customer. No longer will your business be out of touch with the retail shops it operates. The retail shop is considered the most critical touch point with customers. Globitel’s SpeechLog Retail provides a simple solution to increase quality of a retail shop’s representative engagements with your customers. The solution offers a camera with a built-in microphone to record a conversation with clients using both video and audio. The purpose of these surveillance techniques is to monitor a representative’s appearance, and overall interactions. Globitel’s SpeechLog Retail system provides a capturing feature for the representative’s desktop screen. The capturing feature records screen activities during interactions to be played back simultaneously during the viewing of the recording. Evaluation forms can also be built to evaluate selected recording samples. Globitel’s SpeechLog Retail solution is a cost effective tool to monitor and record the three primary dimensions of transactions. Research shows that 7% of any conversation is conveyed through words, 38% through certain vocal elements, and 55% through nonverbal elements (facial expressions, gestures, posture, etc.). 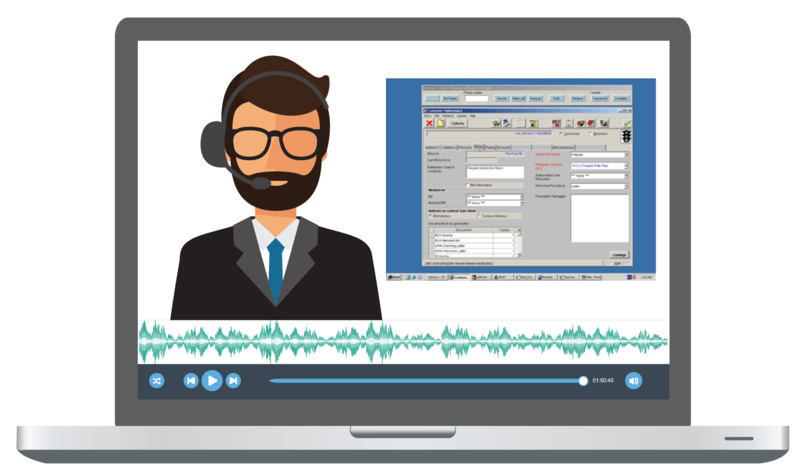 Globitel’s SpeechLog Retail allows both verbal and non-verbal interactions to be monitored and recorded for quality and training purposes. Basically, the solution is a video/audio recording system that captures interactions between customers and agents in retail shops. It records the verbal conversation, agents’ facial expressions and desktop screen actions; all run synchronically when played back. It ultimately encircles quality assurance inputs to be monitored and later used in agent evaluation and training. Globitel’s SpeechLog Retail software served operators in the Middle East, specifically in Jordan, Palestine and the GCC. Safeguard Your Retail Shop Representatives. Tailored to Your Operational Needs.